We’re a locally owned pharmacy that makes sure you get the best prices available on whatever you need. No one at Moweaqua Pharmacy pays full price for their prescriptions. Atenolol for blood pressure is one of the most common drugs prescribed. Nobody has any nationwide-EXCEPT US! You can transfer your current prescriptions and we will mail them to your door. Never step foot in the pharmacy again. Terry Traster grew up on a hog farm in Bethany and went to pharmacy school at Butler University right out of high school. Terry received his doctorate in six years and found a job working for the former owner of Moweaqua Pharmacy upon graduation. When the owner decided to sell the business, Terry, only 24 at the time, worked out a plan to purchase it. Since that time, Terry has worked tirelessly to provide his patients with caring and personalized care. When Terry is not helping to fill prescriptions for his community, he enjoys spending time with his family and participating in KISS fandom events. As a lifelong fan, you can catch Terry sporting expertly made replica costumes and sharing his love of KISS with other fans. More than anything, he tries to pass on an anti-drug message that resonates with him both as a pharmacist and a fan of KISS. To learn more about Terry's story, please click here. "I want all my friends to know, my wife has decided to stay with Moweaqua pharmacy for her Cholesterol medication. Even though, according to my State of Illinois employee plan she could get her medication for free from LDI mail order pharmacies. She has chosen to stay with a local vendor and pay the small co-pay required. That says a lot for Terry Traster, and Moweaqua Pharmacy." "My husband and I stay (at Moweaqua Pharmacy) because of the great service and the convenience and prices. Our doctor is there too, just stay for the small town hospitality. Hopefully they will never leave. Thank you Moweaqua pharmacy, you have a lot of loyal customers who depend on you." "This is independent pharmacy at its best, taking first rate care of their patients, sacrificing themselves for each and every patient everyday, with loyal patients/customers. 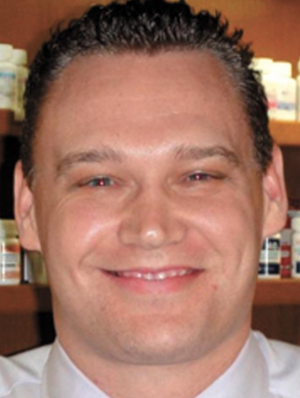 Terry Traster is a great business man, Pharmacist and committed to his community." "It's because of Terry, Michelle, Chris, and the way you all go above and beyond to help and please your customers. We all appreciate the job you guys do. When your treated like a real person instead of just another person off the street or a number in line, you stay loyal to your Local Pharmacy and doctors. Thank you all for the great job you do!!" "You all are the best. I remember when mom was dying and you went above and beyond to make sure mom had what she needed and even offered to bring her meds when we didn't want to leave her. Theres no one that would do those wonderful things like you this day and age." "Really appreciate the honest & caring service I get with your pharmacy. Michelle & the rest of your team , just with their eye contact to the customer is unusual these days. Moweaqua is named the one & only for a reason! Thanks & job well done!"